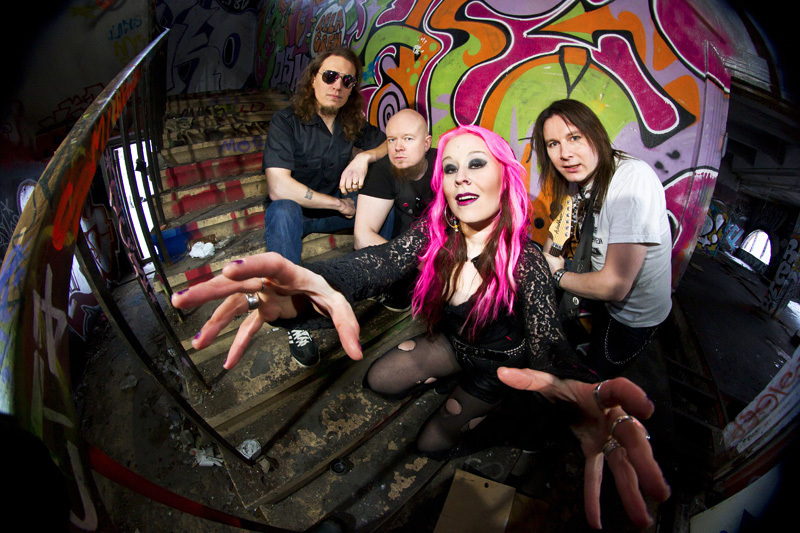 MANZANA BLOG - OFFICIAL: Tour Diary 1 By Piritta! Nothing As Whole As A Broken Heart 2007 part 2. tour started from at the Amadeus - bar of Tampere. I was sick, had fever and flu, and so was Heikki. The beginning energy was not the best. I cried all morning in the shower being sure that I'm going to loose my voice forever, and then the tour will end before it even started, and that the band will end then , and everyone will hate me, and I can never get another job. You know, the basic boogie. After sound check and grilled vegetables at Pancho Villa, and listening all the carnivores making fun of me and my ridiculous food, I started to feel like home again. Maybe this is going to be ok after all. I'm just stage fright. Quite heart-warming, that a lot of people came in to tiny Amadeus, and they actually knew the songs. Tampere, hometown, thank you for that =) I rode my bike home, what a luxury after gig. We didn't have to unpack the van, either, excellent. Thank you, who was there, it was good after all. We feel less afraid about the tour now.